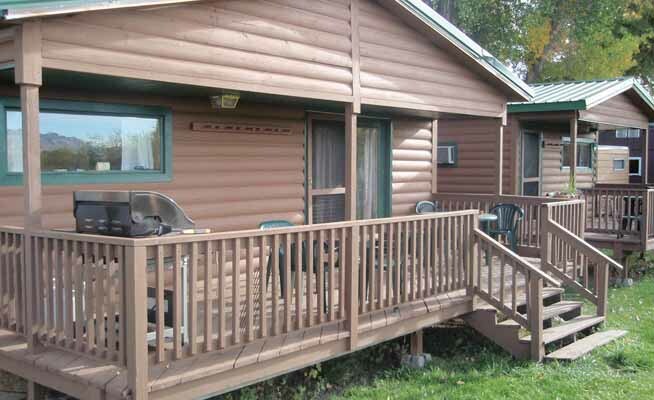 Cottonwood Camp is a tree-lined camp that provides a wide range of services from 14 fully-equipped lodging units with kitchenettes to 20 RV sites and nearly unlimited tent camping. There is a convenience store, fly shop and public shower facilities on the premises. We offer a shuttle service, boat rentals, and best of all, an experienced guide service for floating and fishing on the beautiful Big Horn River. If boating on Yellowtail Reservoir is more your style we have ample space to park your speed boat. To find Cottonwood Camp, take Highway 313 south out of Hardin. Take a left at St. Xavier proceed about 17 miles till mile marker 38. Take the next immediate right. Proceed 200 yards across a small irrigation bridge then take the next immediate left. This gravel road will lead you into our camp within less than 0.25 mile.To find Cottonwood Camp, take Highway 313 south out of Hardin. Take a left at St. Xavier proceed about 17 miles till mile marker 38. Take the next immediate right. Proceed 200 yards across a small irrigation bridge then take the next immediate left. This gravel road will lead you into our camp within less than 0.25 mile.